Thanks to allaboutlemon for sharing this. Check out her blog that is equally diverse! Mind if I reblog it? Sure dear you can reblog it 🙂 Thanks! This is amazing but also quite eeek…. Nature is amazing, fantastic pictures! I wonder on which day did God create this? Or, in what minute second he speak the scorpion birth into existence? Wow! 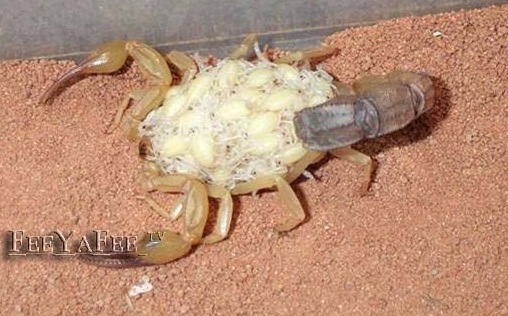 I had no idea this was how Scorpions gave birth. Although not a fan of them, this very neat. Thanks for sharing! Aw… I’m so happy that you like this post and thank you for the visit back and your kind words 🙂 Enjoy your week too! The singer, Sting should see this. May I too say YUCK!!! – but fascinating. Nature is amazing. Wow! This is amazing!! 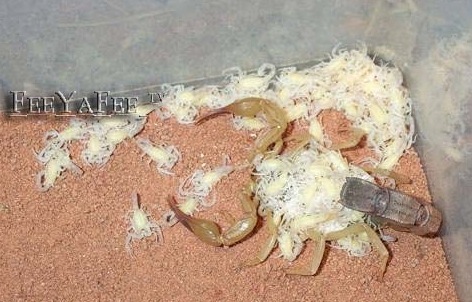 Thanks for sharing….I’ve never seen Scorpions give birth. In the first pic you can see the babies in her. I was surprised to see how many she had! I have to like this one a 2nd time–without clicking the like button. It’s so utterly amazing! Wonder how many survive to maturity? And does the mother bond with them, or are they on their own? Thanks Polly 🙂 I’m glad you like it… Enjoy your weekend! I have been lucky enough to witness the birth of scorpions on 3 occasions and each time it is just as amazing as the first time. I don’t think it could ever become old hat. 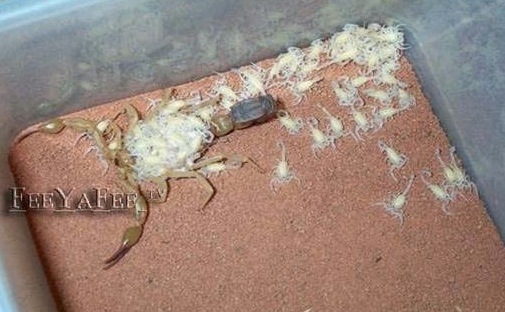 A scorpions “body” is amazing how it transforms during pregnancy and then “grow” back after healing. Thanks so much Scorpion Sting 🙂 I highly appreciate you sharing your thoughts about your scorpion experienced…. Thanks also for the follow. Have fun and see you around! Would that it were so easy for us humans – but thousands at a time? I think not! 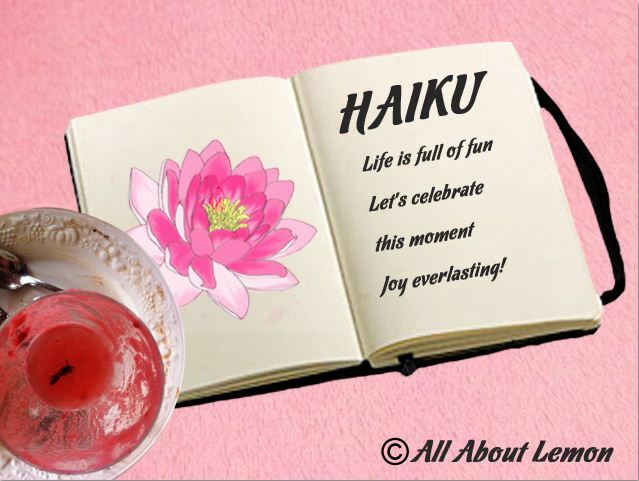 Thanks for sharing, and thanks for stopping by and “liking!” Your blog is so much fun. Yes, indeed. Truly amazing. Thank you for sharing this. She doesn’t even look tired! You’re right. Truly amazing isn’t it? 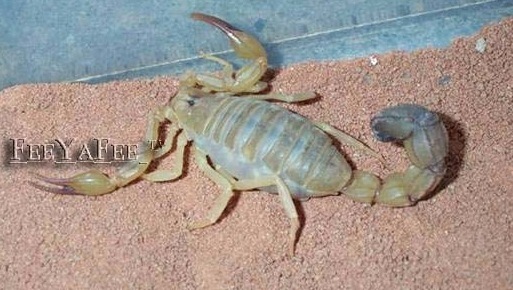 We have scorpions here in Arizona but not as large as the one pictured — or at least I haven’t seen one this big. Thanks for sharing this incredible series of photos. Incredible! 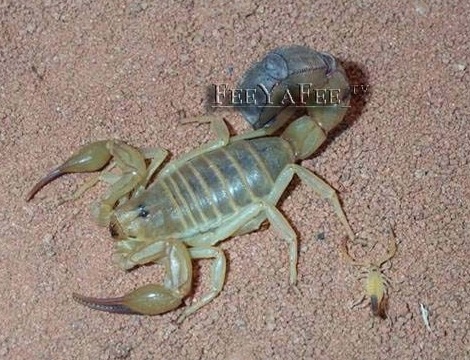 Uh…here in Arizona we have some of the most venomous and biggest scorpions in the world. Granted they’re not as big as Africa’s Emperor scorpion, but I personally have seen scorpions here in Arizona that were roughly six inches (not including their tails) in body length. BIG scorpions yes. Now, if you want to see a really freaky spider that we also have here in Arizona…look up the “Solpulgid” and prepare to be amazed (In other parts of the world they’re called camel spiders). The solpulgid is a ten legged spider. 100% non-venomous (though they probably could deliver a painful bite), and they routinely take down prey many times their size. Their “chelicerae” or mandibles/mouths are the largest (in relation to their heads/bodies) of any other cature on the planet. 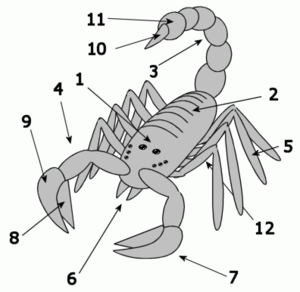 They can open a full 180 degrees, and each has its own set of pincers on the ends. Unlike most spiders that have several sets of eyes that can scan 360 degrees around them, solpulgids only have two keen eyes that face forward. They are truly amazing. This is the first time I’ve seen this. 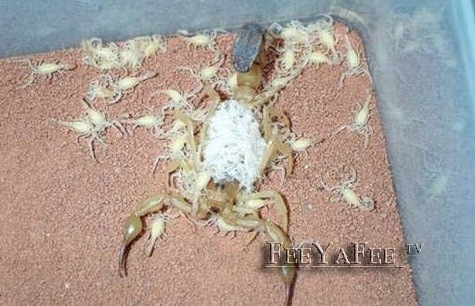 Never knew how scorpions give birth. This is great. Thanks for the info. You’re so welcome 🙂 I’m glad you enjoyed this post! waaaa, never seen it before, so….so disgusting! Thanks for your visit and the comment, I appreciate this a lot! Amazing! Out of this world! Ok. Now I know something I would have never known otherwise. Still, eewwww, so gross. I’m sure you’ll find it very interesting. Thanks for the visit my sweet sister. BTW… how many did she have? And how many lived? Oh, I am sorry I cannot give you details about that, I did not bother to count them, because before I could have, one of your team from pest control came and whoa! They were extinguished, hehhehe 🙂 Thanks again for this and for your visit. You are always welcome. Absolutely astounding. 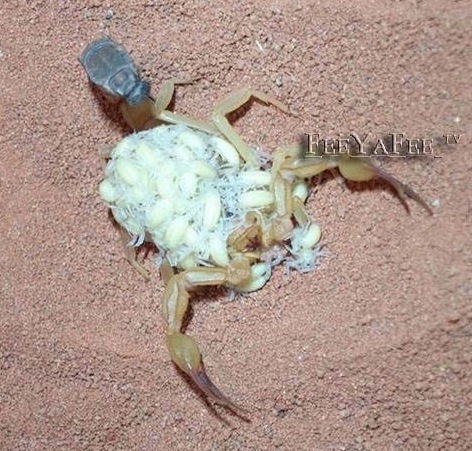 Also, I learned today that baby scorpions are called scorplings. A fact that somehow makes this process even more adorable. Hahaha, a male? mmmm You made me think…. I will do a research on that one 🙂 Thanks!